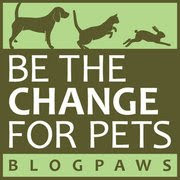 World Spay Day Is February 28th: How You Can Participate...It's Not What You Think! Did you know that February is Spay/Neuter Awareness Month, and culminates in World Spay Day on February 28? 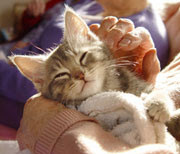 This annual campaign of the Humane Society of the United States and Humane Society International shines a spotlight on spaying and neutering as a way to save the lives of companion animals, feral cats, and street dogs who might otherwise be killed on the street or euthanized in a shelter. To support World Spay Day, the HSUS and HSI host the Spay Day Pet Photo Contest which is a fun way to celebrate our pets while raising funds for spaying and neutering-and there's an opportunity to win great prizes, too! It's simple to enter: just submit your favorite photo of your pet along with a few lines of relevant information about you and your best furfriend and you're all set. You can even enter directly on Facebook and upload a photo from your Facebook albums. If you choose a favorite animal charity along with your submission, you can encourage friends and family (and perfect strangers, too!) 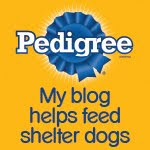 to vote for your pet's photo for a minimum $1 donation-all proceeds go to help spay neuter projects around the world. Remember that the photo contest runs until Tuesday, February 28th, so you still have plenty of time to enter-good luck! By the way, feel free to vote for my photo, below-we think it's pretty darn cute. Hope more people are taking part in it as it's important to us and our pets.